Welcome to the sweet world of the Petits Dodos. This delicate sleeping bag will ensure a peaceful night's sleep. 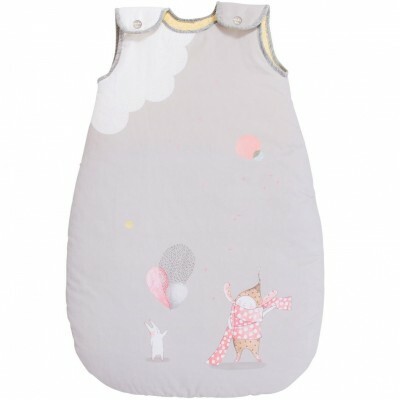 It features on a grey background Lulu the rabbit wrapped up in a warm polka dot scarf next to a little rabbit holding balloons. 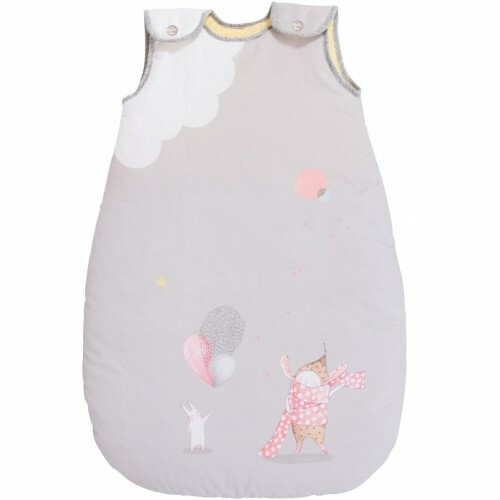 Two press studs on the braces allow to open and close this beautiful sleeping bag. Soft materials to wrap up cosily your baby while sleeping. Dimension: 70 cm. In cotton and viscose. Delicate wash at 30 degrees, no tumble dry. From birth.